Blue Raster offers Hub support packages to help users successfully set up, implement, and launch ArcGIS Hub. 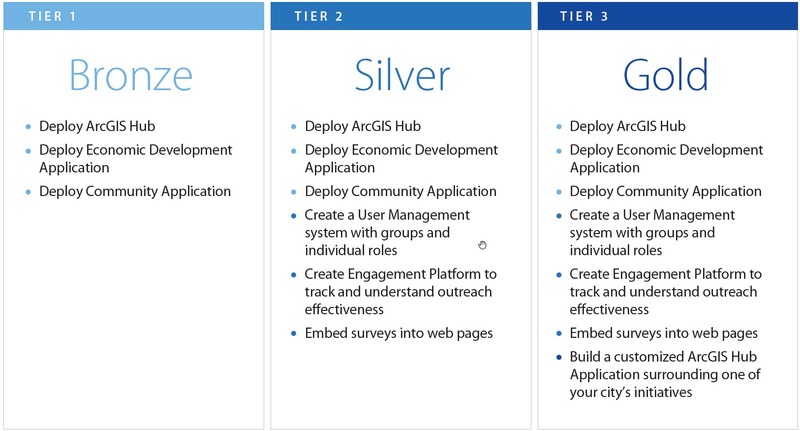 Using our technical expertise and comprehensive knowledge of ArcGIS Hub conﬁgurable templates, Blue Raster can help you jump start your Hub Apps and Initiatives. We assisted in the creation of the Economic Development and Community Development Hub Applications and can support the creation of your own customized Hub Apps and Web Pages. Show business owners why your city is an ideal place to attract top industry talent and grow their business. We can help you build the Economic Development Hub Application to drive opportunity in your city. Use interactive maps to visualize a variety of information to the public, potential developers, investors, and residents. Better understand top industries compared to other major U.S. cities. Show current or potential residents why your city is the ideal place to call home. 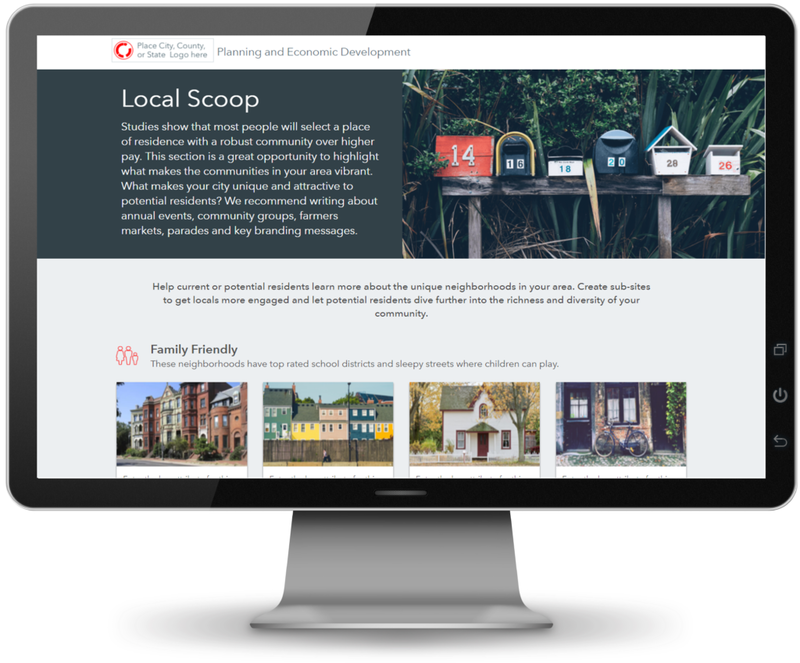 Blue Raster can help you build the Community Development Hub Application to understand key diﬀerentiating factors that make residents love your city. Explore interactive maps of key community data such as locations of farmers markets, churches, parks, and housing and rental availability.